Civil War Naval Primer Box, c. 1861-65, brown-painted wooden dovetailed box, on the top is stenciled PRIMERS/800/ON NO ACCOUNT TO BE/PUT IN THE MAGAZINE., and on the front NAVAL LABORATORY/WASHINGTON., inside the cover is stenciled ORDNANCE LABORATORY/U.S.N. 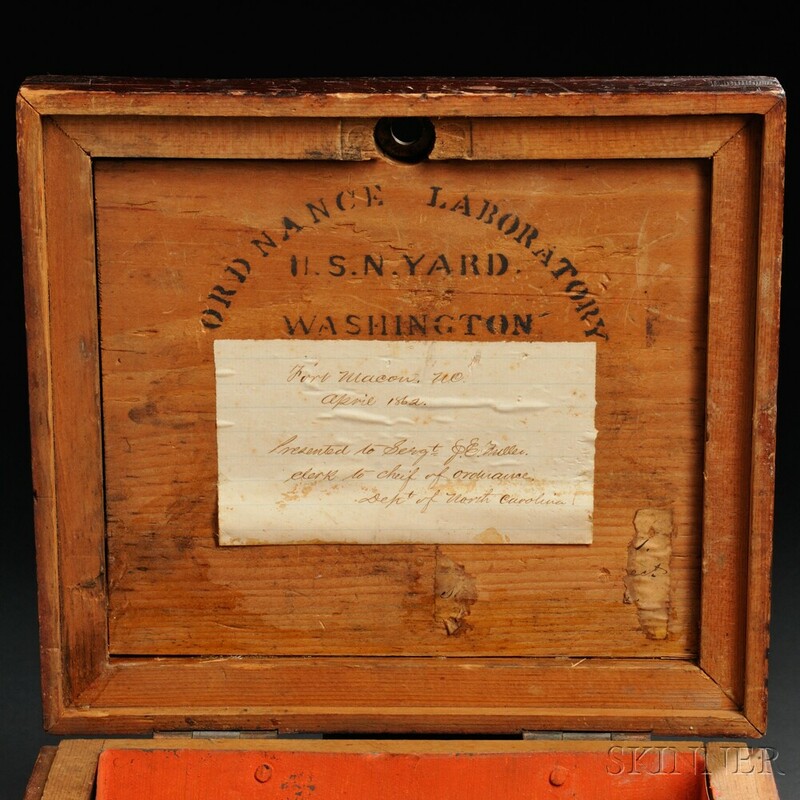 YARD/WASHINGTON, with a paper label glued inside with a handwritten note Fort Macon, NC./april 1862./Presented to Sergt. J.E. 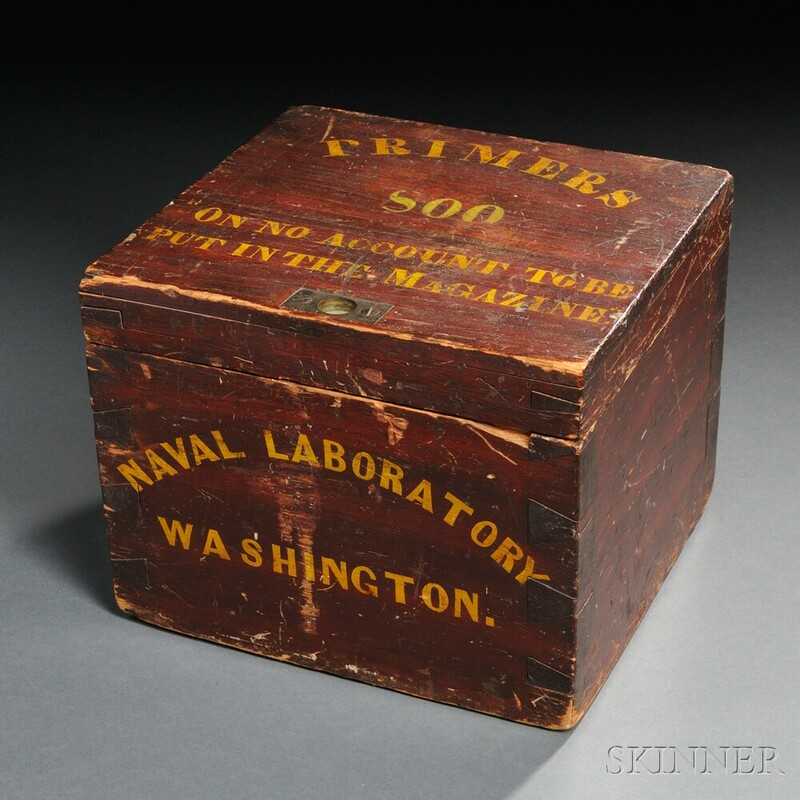 Fuller./clerk to chief of ordnance./Dept of North Carolina, inside of box lined with tin, ht. 7 1/2, lg. 9 1/2, dp. 8 1/2 in. Box in very good condition with crisp stencils, note in very good condition.